Tonight, federal prosecutors following the money, zeroing in on President Trump’s inaugural committee, which raised a record-shattering $107 million. 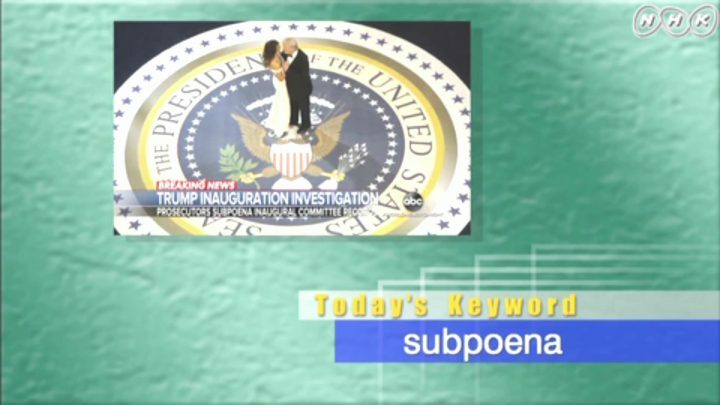 In a sweeping subpoena first reported by ABC News, the US Attorney for New York Southern District demanding documents related to everyone who donated to the committee and attended its events. Prosecutors also want to know how the committee spent all that money, requesting records with vendors and contractors. More than $1.5 million went to the Trump International Hotel in Washington DC. 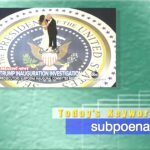 The subpoena makes clear investigators are exploring a host of potential crimes tied to Trump’s inauguration including money laundering, illegal contributions from foreign nationals and conspiracy to defraud the United States.